ichael Madhusudan Dutt, (1824-1873) epic poet and playwright, was born on 25 January 1824 in a landed family in the village of Sagardari in Jashore. His father, Rajnarayan Dutt, was a law practitioner in Kolkata. Madhusudan studied initially with his mother, Jahnabi Devi, at home and then at Sagardari Primary School. At the age of 7 he was admitted to Khidirpur School, Kolkata, where he studied for two years. In 1833, he was admitted to Hindu College. Here, among other subjects, he also studied Bangla, Sanskrit and Persian. Madhusudan began writing while at Hindu College. He drew everyoneâ€™s attention at a college function in 1834 when he recited a poem that he had composed. Madhusudanâ€™s contemporaries at College included Bhudev Mukhopadhyay, Rajendralal Mitra, Rajnarayan Basu and Gourdas Basak. Madhusudan was, however, by far the brightest of them all. He won several scholarships in college examinations as well as a gold medal for an essay on womenâ€™s education. While a student at Hindu College, Madhusudan's poems in Bangla and English were published in Jvananvesan, Bengal Spectator, Literary Gleamer, Kolkata Library Gazette, Literary Blossom and Comet. On 9 February 1843, while still at College, Madhusudan converted to Christianity, partly to escape a marriage his father had arranged. He took the name Michael upon his conversion and wrote a hymn to be recited on the day of his baptism. However, on becoming a Christian, Madhusudan had to leave Hindu College as Christians were not allowed to study there. In 1844 he got admitted to Bishopâ€™s College and remained there until 1847. At Bishopâ€™s College, in addition to Sanskrit, he also studied Greek and Latin. Madhusudanâ€™s conversion to Christianity estranged him from his family, and his father stopped sending him money. In 1848, Michael left for Madras where he started teaching, first at Madras Male Orphan Asylum School (1848-1852) and then at Madras University High School (1852-1856). Apart from teaching, Madhusudan was also involved with a number of newspapers and journals. He edited the Eurasian (later the Eastern Guardian), the Madras Circulator and General Chronicle and the Hindu Chronicle. He also worked as Assistant Editor of the Madras Spectator (1848-1856). While in Madras he published two books of English poems under the pseudonym â€˜Timothy Penpoemâ€™: The Captive Ladie and Visions of the Past. While at Madras, Madhusudan married Rebecca Mactavys. Meanwhile, his mother died and then his father. After his fatherâ€™s death, Madhusudan left Rebecca and returned to Kolkata in February 1856 with a Frenchwoman named Henrietta. In Kolkata, he first worked as a clerk at the police court and then as interpreter. He also started contributing to different journals. His friends urged him to write in Bangla. Madhusudan realised the paucity of good writing in Bangla as well as his own ability to fill this vacuum. While translating Ramnarayan Tarkaratnaâ€™s play Ratnavali (1858) into English, he felt the absence of good plays in Bangla. He became associated with the Belgachhiya theatre in Kolkata patronised by the Rajas of Paikpara. In 1858, he wrote the western-style play Sharmistha based on the Mahabharata story of Devajani and Jayati. This was the first original play in Bangla, making Madhusudan the first Bangla playwright. The next year he wrote two farces: Ekei Ki Bole Shobhyota and Buro Shaliker Ghare Ron. In the first play he satirised the members of young Bengal and the wayward, immoral behaviour they had acquired through western education. In the second he exposed the hypocrisy and immorality of the leaders of conservative Hindu society. Madhusudan radically transformed what was essentially a medieval literature into a one capable of holding its own with any great literature. By dint of his genius, he removed the stagnation in Bangla literature both in style and content. He was the first to use blank verse in 1860 in the play Padmavati based on a Greek myth. This use of blank verse freed Bangla poetry from the limitations of rhymed verse. This success prompted Madhusudan to write Tilottamasambhav in blank verse. In 1861 Madhusudan wrote what would be his masterpiece: the epic Meghnadbadh Kavya. Written in blank verse, this epic was based on the ramayana, but, inspired by Milton's Paradise Lost, Madhusudan transformed the villainous Ravana into a hero. He also forged from Bangla a language capable of describing a heroic battle between gods and demi-gods. Meghnadbadh Kavya was Bangla literature's first original epic and gave Madhusudan the status of an epic poet and a permanent place in Bangla literature. Michael's poems reflected a new woman, self-conscious and vocal, unlike the women who had for ages been deprived, neglected, terrified, silent about their feelings of happiness or sorrow. In the play Birangona (1862), Jana, Kaikeyi, Tara tells their husbands and lovers what they desire and expect. Such boldness in women had not been seen in Bangla literature before Madhusudan. Madhusudan also wrote Kishnakumari (1861), a tragic play based on a Rajput story, and Brojangona (1861), a lyrical poem about Radha and Krishna. At about the same time, Madhusudan translated Dinabandhu Mitra's play Nildarpan into English. He then worked briefly as Editor of the Hindu Patriot before leaving on 9 June 1862 for England to study law at Gray's Inn. In 1863 he went to Versailles in France, staying there for about two years. In France, he started writing Petrarchan sonnets in Bangla, the first sonnets in the language. It was in France as well that Madhusudan overcame the longing for England that had inspired his early works and realised the importance to him of his motherland and mother tongue. These feelings are reflected beautifully in his sonnets like Bongobhasa and Kapotaksa Noad. These sonnets were published in 1866 as Choturddoshpodi Kobitaboli. 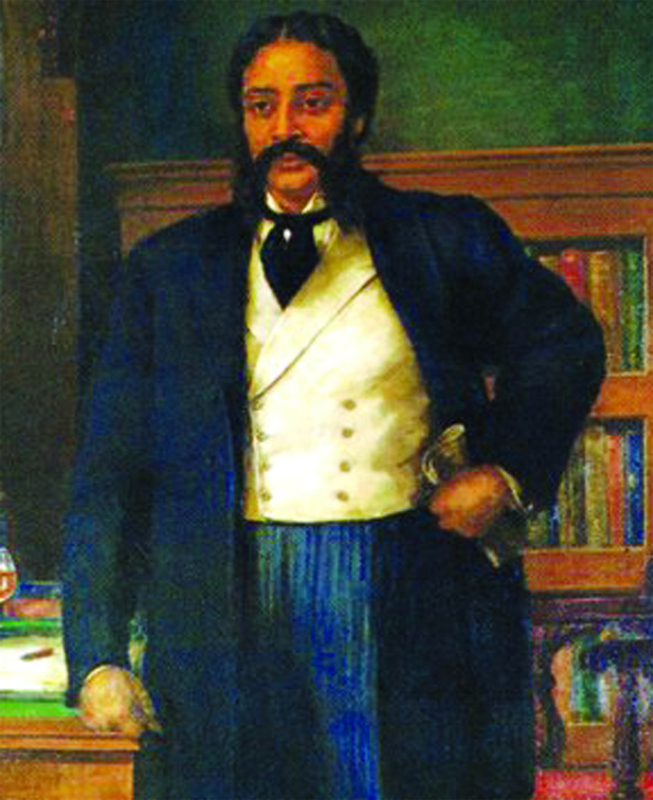 Madhusudan returned to England from Versailles in 1865. In 1866, he became a Barrister. He returned to Kolkata on 5 January 1867 and started practising Law. But his practice did not pick up and, in June 1870, he was obliged to give up Law to work as a translator at the High Court on a monthly salary of Rs 1000. After two years he left this job and returned to his Law practice, becoming quite successful. However, his habit of reckless spending ran up debts. Earlier too he had been on the verge of bankruptcy and had been saved by Iswar Chandra Vidyasagar. In order to make ends meet, Madhusudan also worked for Raja Nilmoni Singh Deo of Panchakot. Despite all these ups and downs, Madhusudan kept on writing. In 1871, he wrote Hectarbodh after Homerâ€™s Iliad. His last composition was Mayakanon (1873). Madhusudanâ€™s last days were painful, because of debts, illness and lack of treatment. He had no place of his own and had to take shelter in the library of the zamindars of Uttar Para. On 29 June 1873, three days after the death of Henrietta, this greatest poet of the Bengal renaissance died in Kolkata General Hospital in a miserable condition. Madhusudan was the pioneer of the new 19th century awakening of Bengal. With his uncommon talent, he brought about revolutionary changes in Bangla language and literature. Drawing profusely on Sanskrit themes for his poems and borrowing from western literature, he set a completely new trend in Bangla literature. In almost whatever he attempted, he was the first if not the greatest writer of his time. Afterwards as well, Bengali writers would continue to be measured against him.